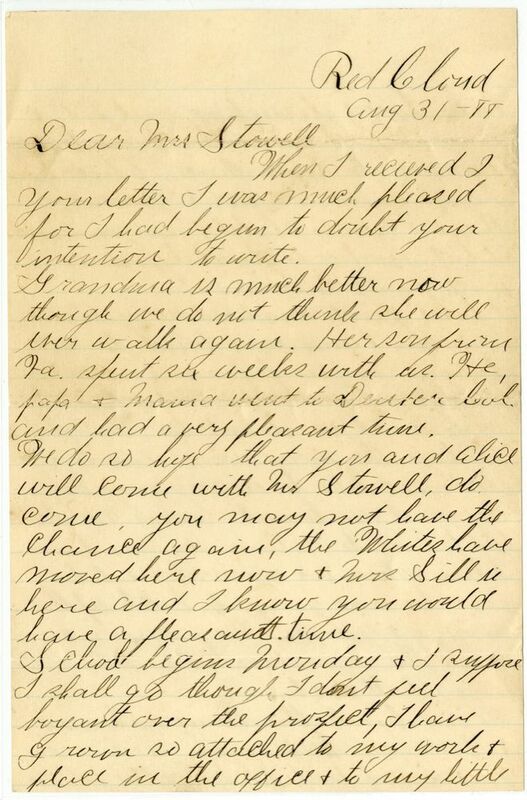 When I recieved I your letter I was much pleased for I had begun to doubt your intention to write. Grandma3 is much better now though we do not think she will ever walk again. Her son4 from Va.5 spent six weeks with us. He, papa6 & Mama7 went to Denver Col.8 and had a very pleasant time. We do so hope that you and Alice9 will come with Mr. Stowell10, do come. You may not have the chance again, the Whites11 have moved here now & Mrs Sill12 is here and I know you would have a pleasant time. School begins Monday & I suppose I shall go though I dont feel boyant over the prospect, I have grown so attached to my work & place in the office13 & to my little labratory & dissecting outfit & my stuffed animals it is hard for me to leave them. Then here I am "Miss Cather" & govern, there I am a child & am governed. That makes a great difference with frail humanity. I had quite an adventure yesterday. A man came in & tried to sell papa a bogus paper on some poor farmer14. Papa could have made $50 on it but he thought perhaps the man was a snide & did not like to in any way help defraud an honest man so he told him to return in an hour. Then when we were alone told me he was going to hitch up the buggy & go see the farmer & when the agent returned to hold him at all costs. In an hour the man returned & I never had such a time. Of course I had to talk the fellow to death to keep him. His buggy wastn ready & if he got away goodbye. Papa & the farmer returned & tackled him, the he made for his buggy & escaped. the sherif15 caught16 him at Amboy17. Carry Miner18 has gone to college19. The Metzcars20 from Beatrice21 are visiting Anson22, the will live here & run23 the new paper24. Anson & his wife25 live where Mrs Roe26 used to live so you see we are near neighbors. I do not think they are very happy togather (but happy is a word few of us realize or are) nothing he can do seems to pleas her & she is cross as two sticks. Fred27 & Suard28 are still happy in the blissful illusion that they love each other as no one but "Ouida's"29 heros ever thought of. They still amuse the town by their pranks, such as gong swimming togather takeing endless rides at night in closed hacks, acting "Princess Napraxine"30 on the medow by Garbers31 & spending Sunday in the woods with claret & "Ouida"
I should think there would be a good eal of ennui in such romance--especelaly on $1200 per year. Molliee32, Bess33, Lillie Leetsery34 & Nellie Atdelshime35 had a picnic the other day. I have been stuffing some birds lately. Tell Alice that Jess36 often speaks of her & would love to see her again. We children have a great many picnics, parties & circus' this summer & would love to have she & Jessie Moor37 to help us enjoy them. Cather's office was a back room in her father's office over the post office on Webster Street, near the Miner Bros. store, in Red Cloud, NE. 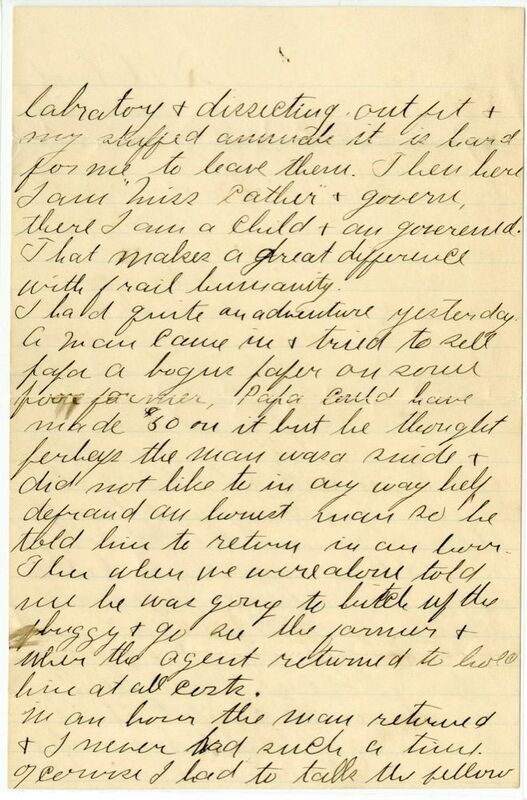 The September 7, 1888, Red Cloud Chief reported that officers Grice and Potter had pursued the con men to Amboy. St. Mary’s College and Academy, Notre Dame, IN, which was conducted by the Sisters of the Holy Cross. 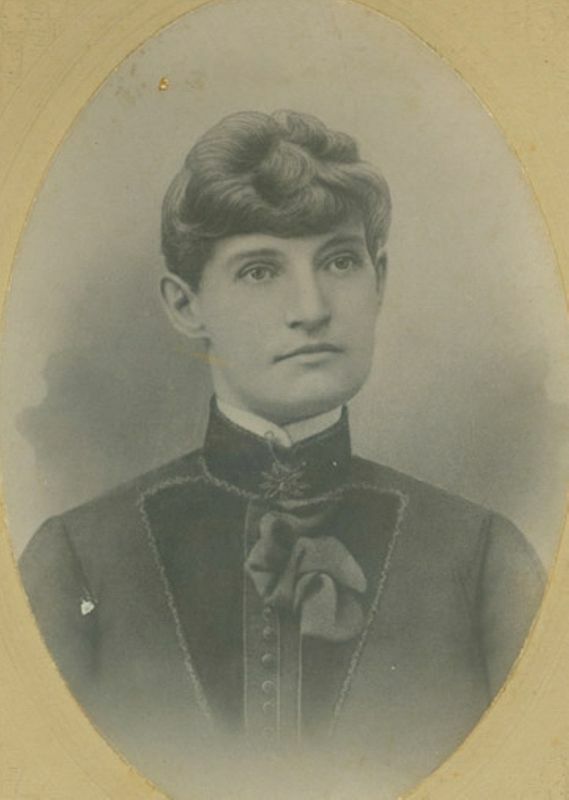 Carrie Miner studied at its Conservatory of Music from September 1888 through January 1889. Milton Metzger and then Dr. G.W. McKeeby edited the Red Cloud Republican, which began publication 14 September 1888 and ceased in late 1890. Charles Cather was an investor and his daughter Willa claimed affiliation with it. Boak, Rachael Seibert (1816-1893). Cather’s grandmother. Born in Frederick County, VA, to Jacob and Rhuhamah Seibert, Rachael Seibert married William Lee Boak in 1830, when she was about fifteen. In 1845 the growing family moved to Washington, DC. They had nine children, with six surviving to adulthood; one son was killed in the Civil War while serving in the Confederate Army. Widowed in 1854, Mrs. Boak moved back to Frederick County; Willa Cather was born in her house. Later she joined the Charles Cather household and moved with them to Nebraska. Rachel Boak’s parents were prototypes for Sapphira and Henry Colbert in Sapphira and the Slave Girl (1940), and she herself was a prototype for Rachel Blake in that novel and for the title character in “Old Mrs. Harris” (1932). Boak, Jacob Seibert (1839-1906). Dentist; Cather’s uncle. Born in Berkeley County, VA, a son of William Lee Boak and Rachel Seibert Boak, Jacob Boak served on the Confederate side in the Civil War, becoming a dental surgeon thereafter. In 1870 he lived with his mother, and his youngest sister, Mary Virginia, in Frederick County. He married about 1875 and moved to Martinsburg, WV, where he and his wife, Katie Davis Boak, had six children: Seibert William, Elsie, Madeline, Cedric, and Donald. 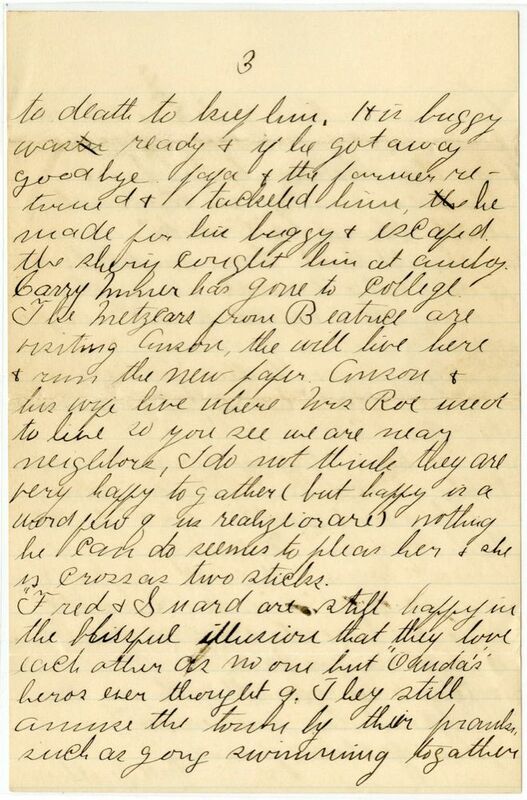 Jacob Seibert visited the Cather family in Nebraska in 1893 when Rachel Boak was very ill.
Elder, Alice E. Stowell (1882-?). Cather's Red Cloud friend. 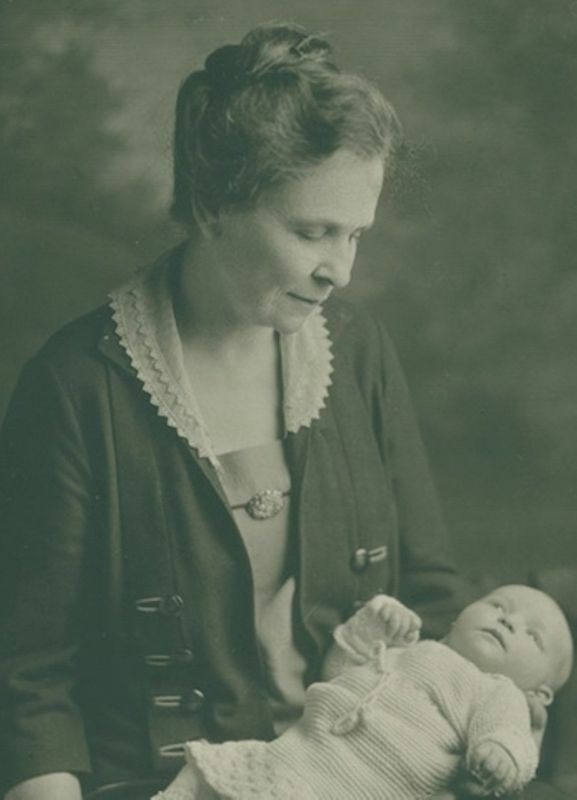 Alice Stowell was born near Guide Rock, NE, daughter of Eugene A. and Helen Stevens Stowell, and became a friend of the Cather family children. The family moved from Red Cloud to California in 1887 and then to Massachusetts, where, in 1907, she married lawyer Edward Elder, with whom she had four children. Stowell, Eugene A. (1848-c. 1925). 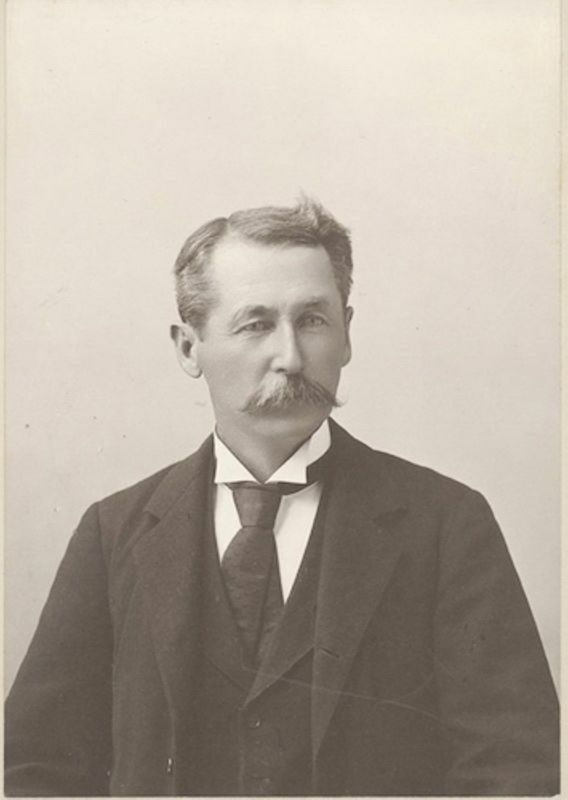 Sheep rancher and lawyer; Helen Stowell’s husband. Born in Massachusetts, Eugene Stowell married Helen Stevens in 1880 and they moved to Webster County, NE, buying a sheep ranch east of Guide Rock. Their only child, Alice, was born in 1882. The family left Webster County in 1887, moving to California and then back to Massachusetts, where he practiced law. White, Arthur Watson (1843-after 1910). Nebraska farmer. Born in Ohio, Arthur White moved to Homer, IL, where he met and married Lora Josephine Stevens in 1870. The Whites moved to western Nuckolls County, NE, adjacent to Webster County, where they were neighbors of the Stowell family. They had six children, including Serena, Cather’s friend in high school. White, Lora Josephine Stevens (1850-after 1910). Farm wife. Born in Homer, IL, the daughter of a physician, Lora married farmer Arthur Watson White in 1870. The Whites moved to western Nuckolls County, NE, adjacent to Red Cloud, where they were neighbors of the Stowell family. They had six children, including Serena, Cather’s friend in high school. White, Serena (1871-1924). Cather’s friend in high school. Born in Illinois, Serena White came with her family to western Nuckolls County, NE, adjacent to Webster County, NE. 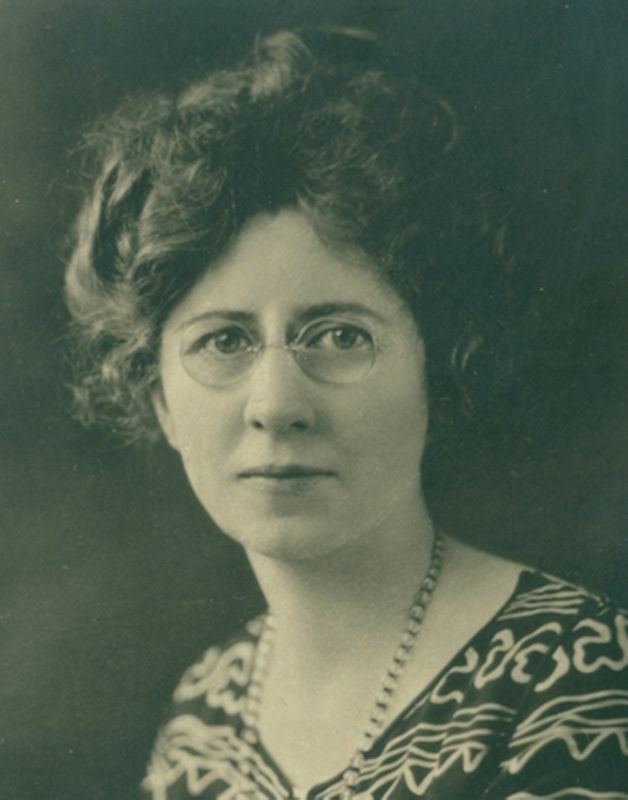 She attended high school in Superior, NE, where John F. Curran was the principal; after he became principal at Red Cloud, NE, she briefly attended the high school there, becoming acquainted with Cather, Mary Miner, and others of their circle. Cather and other friends recorded their likes and dislikes in Serena’s Mental Portrait Album. Sill, Peorianna Elizabeth Bogardus (1833-1921). Red Cloud music teacher. Born in Peoria County, IL, Peorianna was the daughter of two of the first settlers, John L. and Marian Bogardus. She attended Troy (NY) Female Seminary (later named the Emma Willard School), and in 1850 married Calvin S. Sill of Troy. They traveled extensively in Europe, where she studied art and music, returning to Troy, where, her husband was a clothing manufacturer, by 1870. About 1874 they moved to a farm and sheep ranch in western Nuckolls County, NE; Cather’s friends, the Stowells, later became their neighbors. 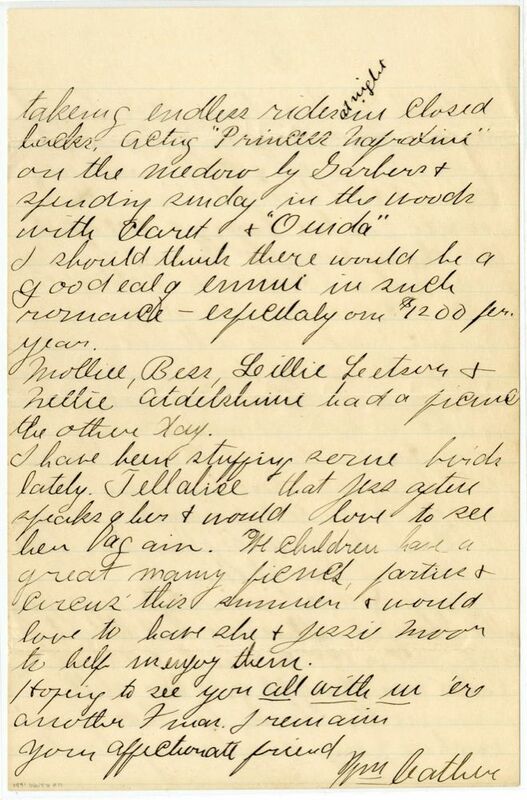 In November 1887 they moved to Red Cloud, NE. In January 1888 Mrs. Sill directed the production of Beauty and the Beast in which Cather and her friends performed. She gave piano lessons to Cather’s friends Mary Miner, Loa Bellow, and others. In September 1889, the Sills and their protégé, Richard K. Stowe, moved to Omaha, NE, occasionally returning to Red Cloud to visit. Widowed by 1910, Peorianna went to live with Stowe in Yonkers, NY, where she died. Hefflebower, David (1850-before 1940). Webster County farmer. Born in Ohio, David Hefflebower came with the earliest homesteaders to Webster County in 1870, farming three and a half miles west of Red Cloud, NE, on Indian Creek. He and his wife Mary had two sons, Willie and George, and a daughter, Stella. By 1930 he and his wife had retired to live in Red Cloud, while their son George farmed the original homestead. Scott, Henry Clay (1841-1923) (“H.C.”). Webster County farmer and sheriff. Born in Illinois, Henry C. Scott served in the 15th West Virginia Infantry during the American Civil War, rising to the rank of lieutenant. He married Melissa McCaskey in 1863, and they had five surviving children. 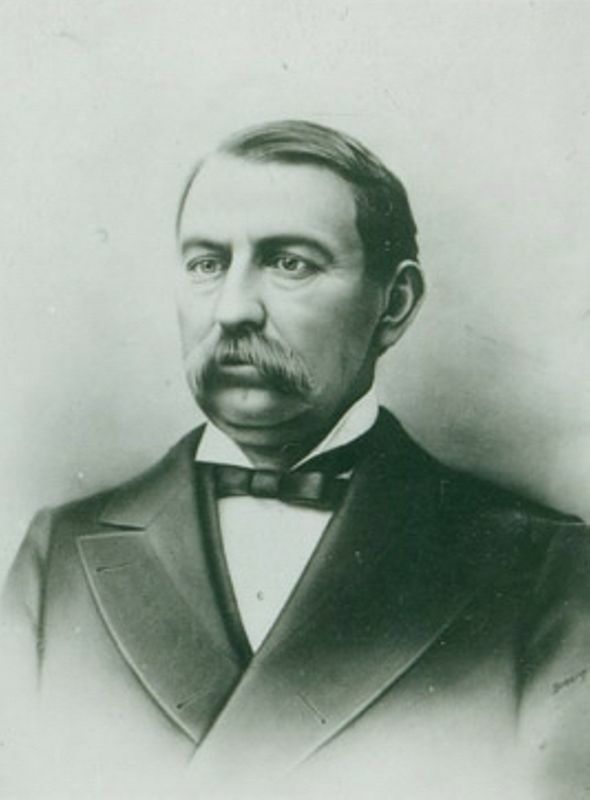 The family came to Webster County, NE, in the late 1870s, where he farmed near Red Cloud, NE, and served several terms as sheriff in the 1880s and 1890s. Metzger, Milton A. (1861-1931). Nebraska newspaperman. Born in Illinois, Metzger came with his family to Beatrice, NE, by 1885. He married May Higby in 1886, and they had two sons. Milton worked as a printer until 1888, when, probably through the influence of his wife’s brother, Anson Higby, he became editor of a newly-established newspaper, the Red Cloud Republican. The paper struggled, and Milton Metzger and his family returned to Beatrice, where he worked as a reporter. He later edited a newspaper in Council Bluffs, IA. 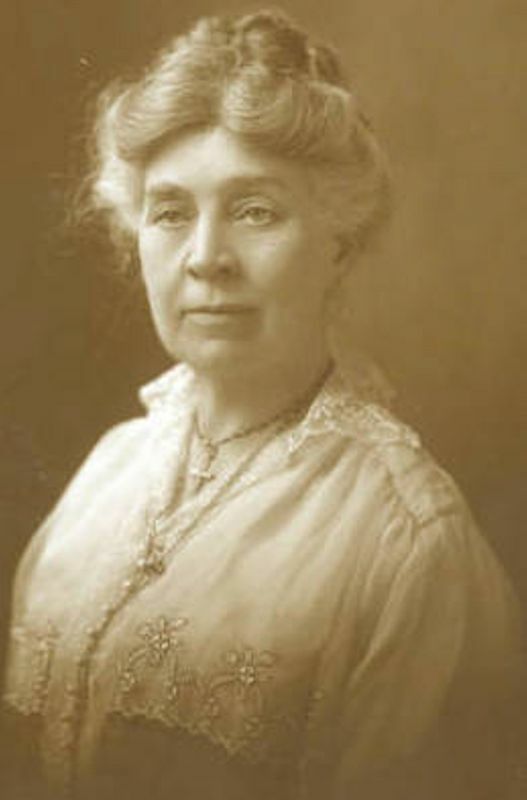 Metzger, May Higby (1861-1929). Cather’s Red Cloud acquaintance. 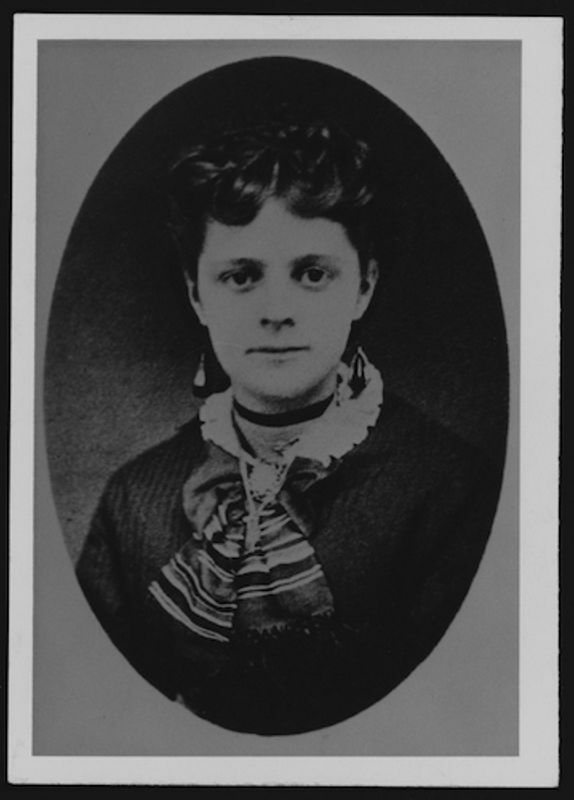 Born in New York, May Higby came with her family, including her younger brother Anson, to Beatrice, NE, in the early 1880s. They lived adjacent to the family of Milton A. Metzger, whom she married in 1886. They came with their first son, Samuel, to Red Cloud in 1888, where her husband edited the Red Cloud Republican for a time. They returned to Beatrice, moving from there to Council Bluffs, IA, about 1910. Higby, Anson (1862-1926). Red Cloud clerk, businessman. Born in New York, Higby moved from Beatrice, NE, to Red Cloud before 1880. He worked as a clerk and bookkeeper and in 1882 he married Bernice Sherwood, sister of Walter Sherwood; she died in late 1883 after giving birth to a daughter, also named Bernice. Anson married Jennie Rowe in 1887. He resigned from Silas Garber’s Farmers and Merchants bank in 1891 to move to Deadwood, SD, then later to Basin, WY. Higby was probably one of the group of young men from whom Cather said she learned more about Anna Sadilek, prototype for the title character of My Ántonia (1918). Higby, Jennie Rowe (1867-after 1910). Cather’s Red Cloud neighbor. Born in Nova Scotia, Canada, Jennie Rowe and her family came to Red Cloud, NE, in the early 1880s. She married Anson Higby in February 1887. They had two daughters, one born in 1888 in Red Cloud, the other born in 1895 in Deadwood, SD, where the family moved in 1891. They were divorced by 1910. 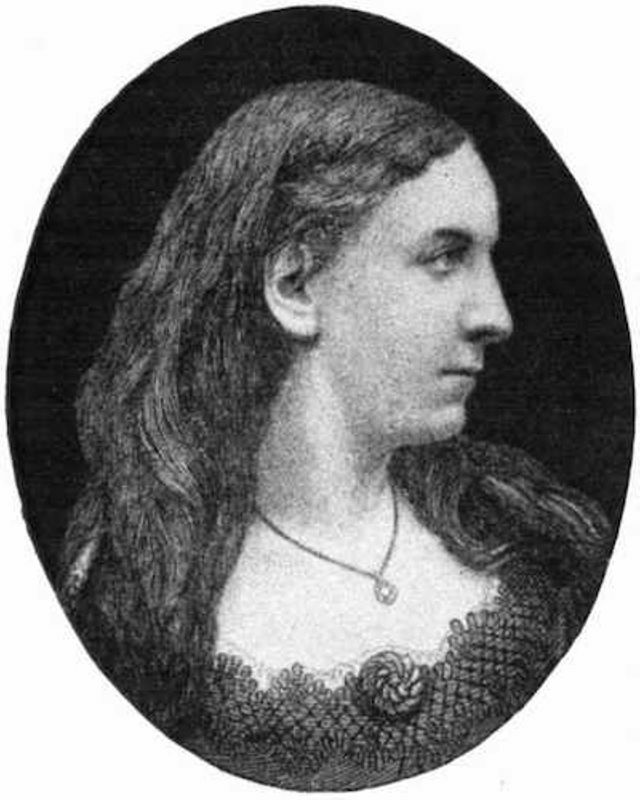 Rowe, Jane (1833-1911). Cather’s Red Cloud acquaintance. 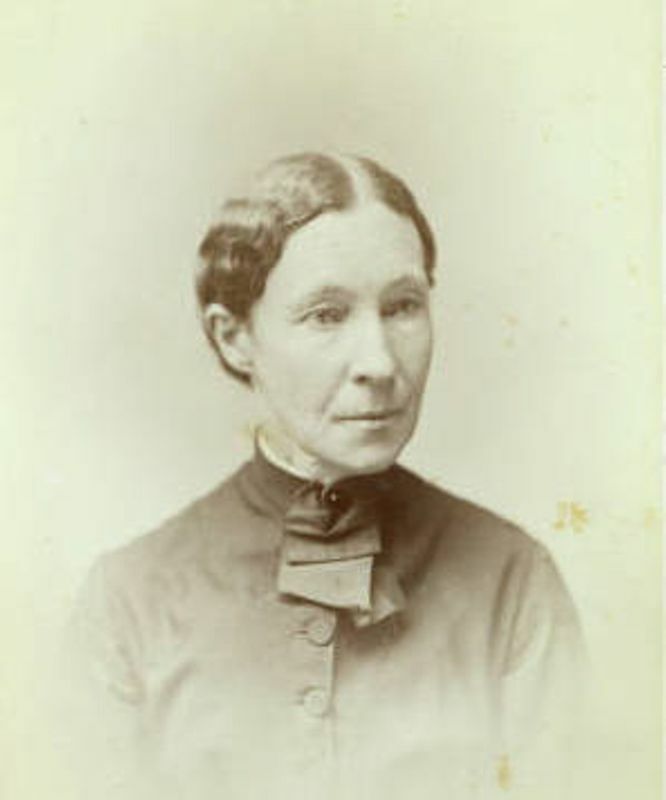 Born in Nova Scotia, Canada, to U.S.-born parents, Jane married Joseph W. Rowe about 1860. The family moved to Red Cloud in the early 1880s, taking a niece, Jennie, with them. Some time after Jennie married Anson Higby in 1887, Jane and Joseph moved to Phillips County, KS, where they farmed. At the end of her life, Jane lived with Jennie Higby in Deadwood, SD, and is buried there. Garber, Winifred Richardson (1869-after 1930) (“Fred,” “Freddie”). Cather's Red Cloud acquaintance. Winifred Richardson, born in Nebraska, was the eldest daughter of stockman William N. Richardson, a prototype for Mr. Trueman in Cather’s “Two Friends” (1932). 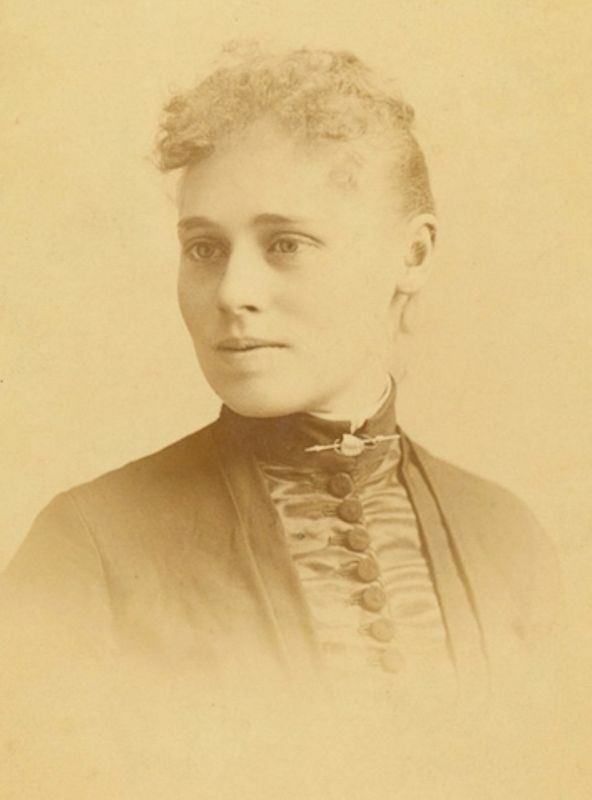 She attended a boarding school in St. Joseph, MO, from 1883-1886. In 1888 she married William Seward Garber, son of Silas Garber, a prototype for Captain Forrester in Cather’s A Lost Lady (1923). They had three daughters. The family moved to Lincoln, NE, then to Buffalo, NY; Winifred and her daughters moved to Los Angeles, CA, about 1920; she subsequently divorced her husband. Garber, William Seward (1860-after 1920). American businessman. Born in Iowa, the only child of Silas and Rosella Dana Garber, William Garber was reared by his father’s family after his mother died and his father left Iowa. He attended the University of Nebraska in the late 1870s, and in 1885 he worked in another bank in Red Cloud, NE, before becoming cashier of his father’s bank, the Farmers and Merchants Bank in 1886. He married Winifred Richardson of Red Cloud in 1890, and they had three daughters. The young Cather observed their courtship with amusement. He and others owned a power plant in Red Cloud, and an arson at the plant was apparently designed to cover up shady business dealings. In the wake of the scandal W.S. Garber left Red Cloud, and he and Winifred separated in 1897; by 1910 they were reunited and living in Buffalo, NY. Garber later remarried and had another family. Ramé, Maria Louise (1839-1908) (“Ouida”). British novelist. Born in England, the daughter of an English mother and a French father, Ramé adapted her childhood nickname as her pen name. After the publication of her early novels, she moved to London in 1867, holding a salon there. In 1871 she moved permanently to Florence, Italy. Many of her more than forty novels were immensely popular, and some were dramatized. Cather read Ouida in her youth, and in her journalism in the 1890s laments the waste of Ouida’s great natural talents; she mentions two of Ouida’s novels, Strathmore (1865) and Wanda (1883), in The Song of the Lark (1915), and Eden Bower in “Coming, Aphrodite!” (1920) gets her ideas of life from Ouida’s novels. Letson, Lillie (1871-before 1900). Cather’s Red Cloud acquaintance. Born in New York, the daughter of William and Alison Letson, Lillie and her twin brother William were brought to Des Moines, IA, in 1875. The family came to Red Cloud, NE, in April 1882, where her father owned a general store until his death in 1885. Lillie was one of the young people of Red Cloud associated with Cather and her friends. Adelsheim, Nellie (1872-after 1940). Cather’s childhood acquaintance. Born and reared in Iowa, Nellie began coming to Red Cloud in 1886 on extended visits to her aunt, Fannie Adelsheim Wiener. While there, she was part of the same social set as Cather and Mary and Margaret Miner, attending school and performing with them in locally produced plays. Cather observed her flirtations with local young men, but in early 1891, Nellie married New York City-born David Markstein, who may have lived in her home town of Sioux City. By 1898, they had had four children, David had died, and Nellie was living in New York City. She apparently remained there, living with her children, until her death. Moore, Jessie (1881-after 1900). Cather’s childhood friend. Born in Lincoln, NE, to John H. Moore and his first wife, Harriett Moore, Jessie came with her parents to Red Cloud, NE, in 1882, when her father took charge of a bank there. After her mother died in 1884, she was taken care of by other relatives until her father’s marriage to Jessie Briggs in December 1885, after which she returned to Red Cloud to live. About the same age as Cather’s sister Jessica, Jessie was a frequent playmate of the Cather children. When her father’s bank closed in 1890, the family returned to Lincoln.